Super Safari Teacher's Book Level 1 helps teachers get the most out of the course material with easy-to-follow instructions and a teacher-friendly layout. 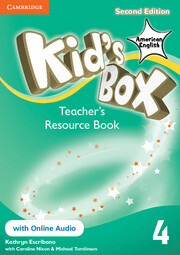 The teacher's notes are interleaved with pages from the Pupil's Book and easy to use. It includes detailed step-by-step guidance, lesson aims, clear instructions and a vast array of ideas for classroom activities.